In 1992, a somewhat-unknown comic book editor named Mark Waid took on writing The Flash, and over the next eight years Waid would redefine the character as a DC flagship, crystalize the title as one to watch, and make his name as the writer who would go on to the acclaimed Kingdom Come and DC's 52. 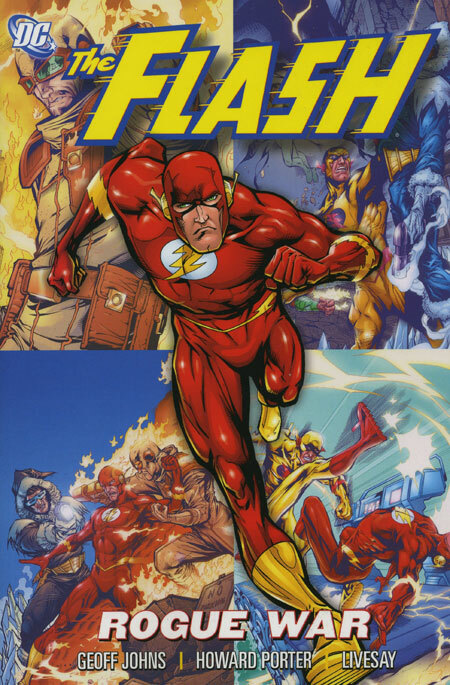 Following Waid's Flash run in 2000 came an--at that time--equally-unknown writer named Geoff Johns, whose Flash run would not only also propel him to the front lines of DC Comics, but also definte and re-define Wally West as the Flash. Whereas much of Waid's influence on the Flash mythos had to do with the Speed Force that gives all of DC's speedsters their powers, Johns focused instead on Wally West and Keystone City, giving both an inter-dependence that matched Batman and Gotham, or Superman and Metropolis. In fact, with Johns' work on Flash split between two artists, Scott Kolins and Howard Porter, it's even possible to look at John's time on Flash as two distinct runs: one where he set the groundwork for creating a new Flash, and one where we received a glimpse of what that new Flash could have been like. From the beginning, one of Johns' main tenets of The Flash is that Wally West is the hero who is "just a man." At the beginning of The Secret of Barry Allen trade, Johns writes that while Superman "soars above," Batman "hides," and Wonder Woman "preaches" to everyone, Wally "runs alongside" everyone, at one point changing the alternator in a woman's stalled car as he passes. Keystone is portrayed as a blue-collar, automotive city, much like Detroit where Johns was born. Johns' first scene of Wally in the Blood Will Run trade has him enjoying a regular hockey game, and the major villain in that story is Cicada, a cult leader who sees the Flash as a god; Cicada's defeat influences Wally to return to living in Keystone City proper, "with the other regular people of Keystone." Indeed, Wally defeats the Thinker in Crossfire also by being "a regular guy" with human emotions. The super-intelligent Gorilla Grodd makes three major appearances in Johns' story, and Johns uses Grodd to examine the animal nature of humans; Wally claims in Blitz that he's not an animal, but his animal desire for vengeance against Grodd and, later, Zoom, remains a struggle. In this way, Johns not only portrays Wally as a man, but continues to examine the meaning of manhood and humanity. One of the cornerstones of Johns' Flash--and an attribute that solidified Johns' reputation as an excellent character-writer on JSA and subsequent titles--was his revitilization of the Flash's Rogues. The first Rogue the reader meets in Blood Will Run is Captain Cold, not pulling off a heist, but enjoying the same hockey game as Wally. Their return to this hockey stadium in Ignition, and their friendship in that story when each has forgotten the other's super-identity, solidifies the idea that the Rogues are people, too, like Wally. In The Secret of Barry Allen, Wally notes that his origins are much like the Rogues, in that he and the Rogues (shown through a series of "Rogue Profiles" throughout the trades) each came from difficult childhoods, and each were gifted powers or abilities through accidental means--only Wally had Barry Allen to set him on a heroic path. In fact, it's toward the end of the last Flash trade, Rogue War, that Wally notes that he couldn't ever hate the Rogues nor Zoom, because he knows "what losing family can do." Additionally, many of the new Rogues that Johns creates have distinctly human (rather than wildly villainous origins)--Peek-A-Boo is a medical graduate student trying to save her father, while Fallout was a blue-collar mason caught in a nuclear accident--reinforcing Johns overall characterization of Keystone City. In the first four of Johns' Flash trades, however (Blood Will Run, Rogues, Crossfire, and Blitz), the changes to give Wally a more "of the people" outlook are mostly "in theory"--that is, we're told by Johns that this is Wally's new personality, but the change is mostly incongruous with Wally's portrayal beforehand. After Ignition, this changes dramatically (as does the book's art style, from Kolins to Porter). By erasing the public's knowledge of the Flash's secret identity, Johns at the same time creates a new backstory for Wally; as Wally's wife, Linda Park, notes in The Secret of Barry Allen, her parents now believe Wally West is a college drop-out who became a mechanic for the Keystone police. And though this origin is technically a Spectre-created fake, it now creates a subtle change in the tone of Johns writing of Wally West. This is most notable in Wally's interactions with Wonder Woman; in the "Truth or Dare," storyline, he expresses frustration with Diana's holier-than-thou (or holier-than-regular-people) preaching, and makes the point that while, when the two fought a forest fire, Diana would rather allow property to burn rather than hurt the earth, Wally's concern is for people and their possessions first. One senses a political conservatism to the post-Ignition Flash that is actually very much in line with the Marv Wolfman New Teen Titans portrayal of the character, even as it makes this Wally distinct from the Wally at the beginning of Johns run. With Wally's new post-Ignition outlook and origin, Johns goes on to demonstrate how the Flash is now the ultimate realization of his "people's hero" theme. In Blitz, shortly before Linda is attacked by Zoom, Wally worries whether he's responsible as a hero for creating the villains he fights; in The Secret of Barry Allen, however, after Wally's identity is no longer public, Nightwing recasts this, explaining that the Flash, like Batman, goes out of his way to make enemies in order to keep the villains focused on him, instead of the public. Wally decries the Flash Museum as a grotesque "temple," but once his identity is hidden, comes to understand that the Flash now represents not just Wally West, but symbolizes all the people of Keystone City. In Crossfire, the people of Keystone and Central Cities help Wally save the day, but with the Flash now anonymous, Johns suggests that anyone could now be the Flash--that any regular person might be the hero of Keystone. There is a theme of class relations inherit in Johns' Flash stories; interestingly, Johns manages to have Wally switch class roles as he changes from the first Wally to the second. When the story begins, Wally is well-known as the Flash, and enjoys a celebrity status; after the knowledge of his identity is erased, however, Wally is referred to in The Secret of Barry Allen as "Mr. Park," the blue-collar husband of a TV news reporter. This further solidifies Wally as "of the people." In turn, he gets a new supporting cast, including his garage boss Wheeler and his daughter Reece. We also see this shift played out in the cultured police detective Morillo, who originally believes that Keystone is not for "regular" police before he's paired with the street cop Chyre. There's also the Mr. Element villain in Ignition, who goes on a killing spree in order to be the smartest man in a town that values vocation over education; additionally, in The Secret of Barry Allen Johns parallels the "high art" of the gaudy Flash museum, where Wally feels unconfortable, with the dank "low art" of Iron Heights, where the guards express their thankfulness for the Flash. In this way, Johns further defines the new Flash by clearly showing how he functions in society. With all this, then, it is unfortunate that ultimately, the promise of the new Flash can never be fully realized. The Secret of Barry Allen and Rogue War, the two trades that feature the new Flash, are both taken up by sweeping, plotline-tying storylines, and also Identity Crisis and Infinite Crisis crossovers; by the time they end, and Johns would ostensibly return to "normal" stories with the new Flash, the series comes to a bittersweet end--though the Rogues seem set to leave Keystone, the new police trio of Chrye, Morillo, and Ashley Zolomon have a greater bond, making this both an end and a potential beginning. The new Wally West might have been the DC Universe's first truly blue-collar hero--not only in his mechanic job, but in his thoughts, opinions, and interactions with others, from his relationship with his supporting cast to his newfound friendship with the midwestern Superman and his tension with the god-like Wonder Woman. We enjoy the effort that Johns put in to creating the new Wally West, even as it seems strange never to fully see that Wally West in action; as the Flash legacy is synonymous with infinite dimensions, we're left with faint but promising glimpses of what might have been. I especially enjoyed the initial stories just after Wally's identity was returned to secrecy. Wally didn't even know his altero ego, and we got to see his world as an entirely blue collar world. The eventual revelation of Wally to Linda that he was the Flash - the same man whose enemies killed their unborn child - was gut-wrenching. It was an excellent attempt to entirely redesign the run. Thanks. I agree; Ignition was one of my favorites of the run, too. I was trying to post a link to this review on the Comic Bloc Flash forum, but the wonky system won't let me log in. 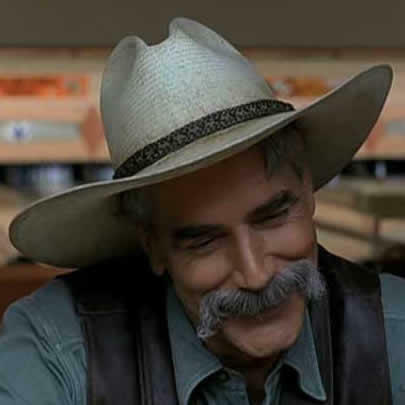 If anyone else wants to do it, I think those forum-ers would enjoy it.